Are you ready for inspirational keynotes, advanced training opportunities, and in-depth sessions to help you accelerate digital finance transformation at your organisation? 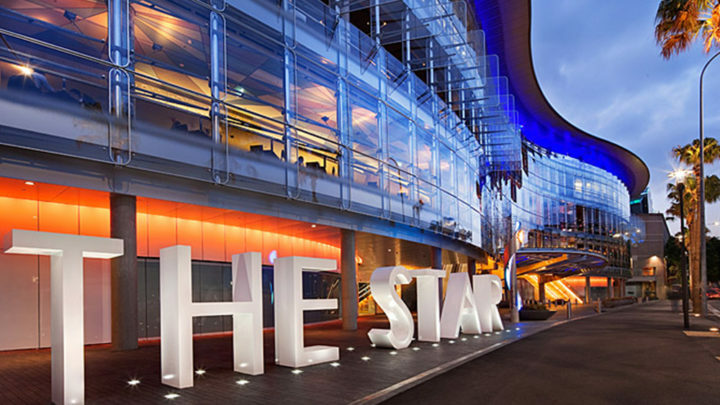 It’s that time of year again: BlackLine’s largest conference in the ANZ region is coming to The Star Sydney on 21-22 May. InTheBlack is the event for networking, maximising value from your BlackLine solutions, and driving the next wave of accounting and finance innovation. At this year’s conference, you’ll have the opportunity to hear best practices from existing customers, explore the latest technology during hands-on BlackLine U workshops, and test out new product features at The Sandbox. This is your chance to advance your career as you network and share ideas with thought leaders and like-minded peers. Here are some of the agenda highlights, along with how to turn your trip into a mini-getaway. We’re excited to announce that Andrew Fastow, the former CFO of Enron, will be a keynote speaker this year. Yes, we’ve invited one of the men behind the greatest instance of corporate fraud in history to speak at InTheBlack. And yes, we realise it might not seem to make sense―but just wait. This will likely be your most memorable hour of the conference. Fastow’s frankness around his actions and rehabilitation will draw you in the second he walks on stage, and you’ll learn more than you ever thought possible from the insider perspective he’ll be sharing on accounting, risk, fraud, and ethics. Nike will discuss their journey to better manage the reconciliation management process by implementing BlackLine Transaction Matching. They’ll deliver points on what it takes to achieve success, and provide perspective on why this must not be met with a “set it and forget it” approach. In our increasingly uncertain world, building and maintaining trust is more important than ever. Trust in a company might start with the CEO, but Accounting must be the steward of accurate financials. BlackLine Founder and CEO Therese Tucker’s keynote will reveal how accounting and finance teams at every stage of their careers can help their organisation build trust by embracing their new role as partners to the business and providing strategic leadership and guidance. The InTheBlack Sponsor Hub will host our alliance partners from a range of organisations. EY and Deloitte are sponsors this year, and will also be delivering thought leadership presentations from the main stage. SAP is a sponsor as well, and for the first time, we’ve created a track of content specifically for SAP users on the first day of the conference. These sessions will focus on topics like how BlackLine solutions are complementary to SAP, and customers running SAP will share success stories about how they transformed their financial close process with BlackLine. ABM, Forpoint, and DXC are our local sponsors, and looking forward to learning more about your goals and vision for Accounting and Finance. Plan to stop by all of the sponsor booths or connect during our networking events to discuss best practices that will help you maximise value from BlackLine. You’ll have many others to choose from that will show you how to shorten your close, move the focus from transactions to analytics, and use Variance Analysis as a “watch dog” to improve remediation. Turn InTheBlack into a mini holiday and stay for Vivid Sydney, which begins on 24 May. Australia’s largest festival brings together art, technology and commerce with three weeks of game changing ideas and seminars, amazing music, and light sculptures that transform the city. Join Finance & Accounting thought leaders from across the Asia Pacific region for two full days of best practices and product deep dives, and create lasting memories as you network with your peers. Reserve your spot here if you haven’t already registered.